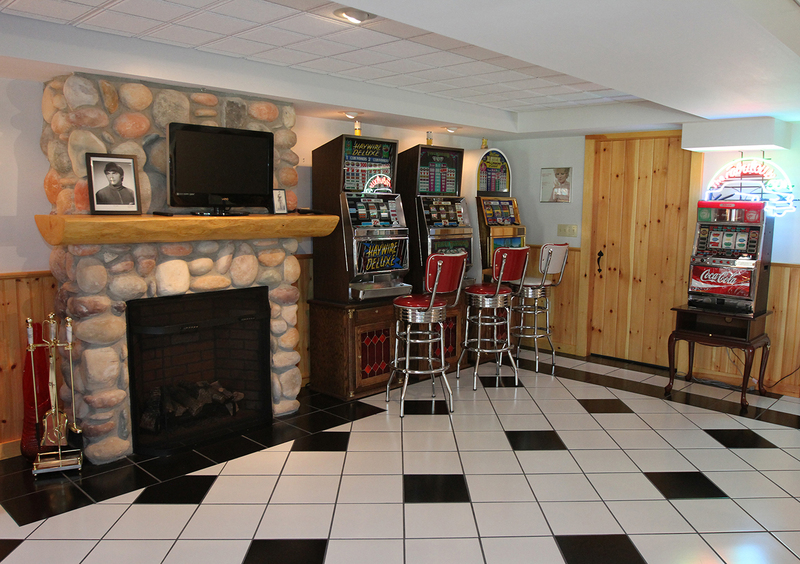 It's a rare arcade that includes a stone fireplace. The portrait on the mantel at left is of the late Joe South. The game room at 13 Federal Street in Alfred.